I have been in a groove lately and it seems like I am either reading YA, pararnormal/fantasy or some combination of the two. Don't get me wrong, I'm not complaining, especially after reading this book. Right away you feel bad for Aurora - adopted as a toddler her parents are both killed in a car accident. She is taken in by her aunt and uncle and their spiteful daughter, not ideal that is for sure. It is more than obvious that her aunt and cousin don't want her around so when her uncle shows up at school to tell her they are going on holiday for a few days, she is somewhat surprised. Last time they took a vacation they left her behind. Here is where the book really begins. Her uncle has made a deal with Lord Oblek, someone who works for Morgana - a ruling Queen from another land. When they arrive at Lord Oblek's Aurora witnesses something that is hard to believe - a large tapestry in the library is revealed to be a portal, and her own uncle is going to be selling her off to Lord Oblek for a hefty sum. He REALLY wants to bring Aurora to Queen Morgana - they have been looking for her for some time. Aurora is Queen Morgana's niece, and you are led to believe that she has killed both of Aurora's parents in order to attain the throne. Both of Aurora's birth parents were very powerful in their magical abilities - one was a fae and one was a mage. So when Aurora escapes the dungeon with the help of Rafe, she finds out she is incredibly rare - so rare and powerful in her magic that the amulet she wears on her neck (and has had since birth) is the only thing that has protected her from Morgana's grasp all of these years. Fae, mage, Pegasus, kings, queens, princes and princesses...this book has it all and then some. I did struggle slightly with some of the choices Aurora made - telling her friend/roommate who she was, letting lose her powers at school, leaving school with the Blackwaters, especially when she had been warned. But, then I remembered she is only 16 years old and it all made much more sense. Just trying to fit in and have a little fun at times, and protecting herself at others. I just loved this book and can't wait to read the next in the series. I am really rooting for Rafe and Aurora, hope that Damian and Letitia get what's coming to them, want Morgan and Lilith to stay apart (although I have a funny feeling that won't happen)...boy, there are all sorts of things that just made me want to read this and keep on going. Farah lives with her husband and three children in their family home in Mumbai, India. 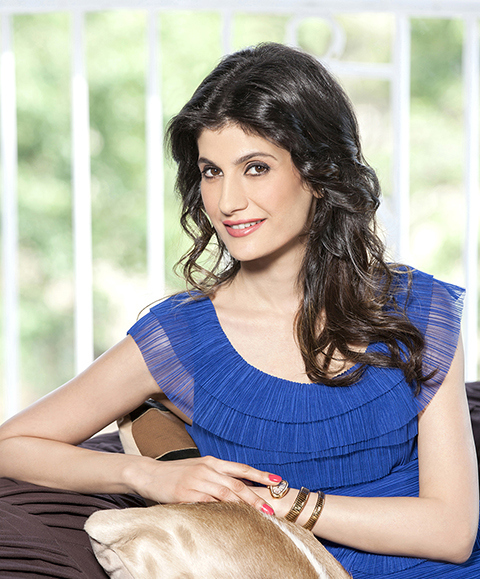 She has a Master’s degree in English Literature from the University of Mumbai. 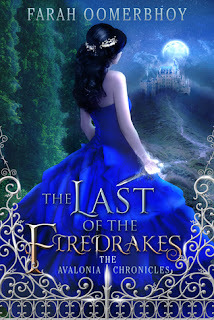 Her first novel, The Last of the Firedrakes, Book 1 of the Avalonia Chronicles will be published worldwide August 15th, 2015. Thank you so much for this lovely review.. I'm so glad that you enjoyed the book.